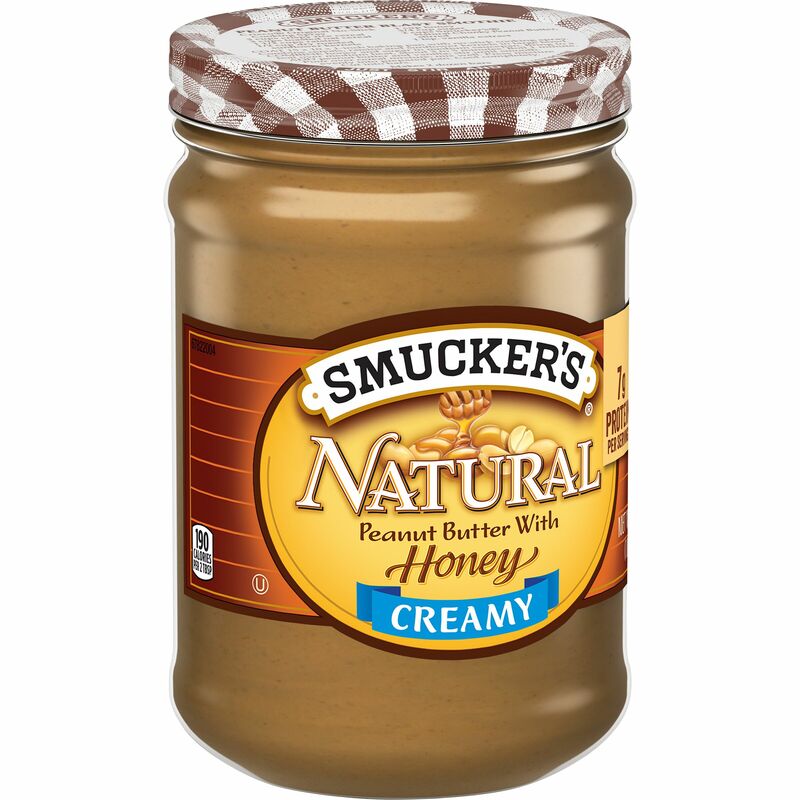 Smucker’s® Natural Creamy Peanut Butter With Honey has a touch of honey for added sweetness. It makes a great breakfast or snack paired with an English muffin, and it's an ideal ingredient in some of your favorite baked goods. Peanuts, Sugar, Honey, Honey Crystals, Salt. Honey crystals are dried sweetener made from honey and sugar.